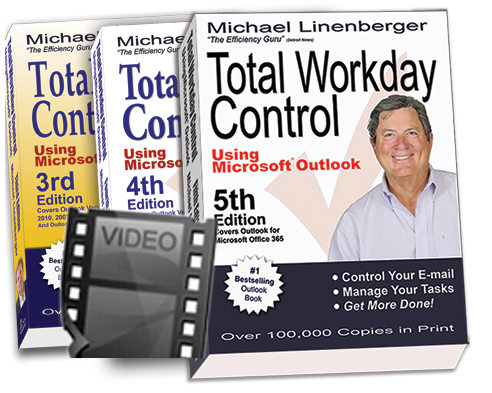 Michael Linenberger is the author of the #1 bestselling Outlook book and the creator of the most powerful workday management systems available today: 1MTD and MYN. These video courses teach you how to get your chaotic workday under control. They teach you how to conquor your overloaded task list. And they teach you how to get your email inbox near-empty each day. Study at your own pace using streaming videos created and narrated by Michael Linenberger. 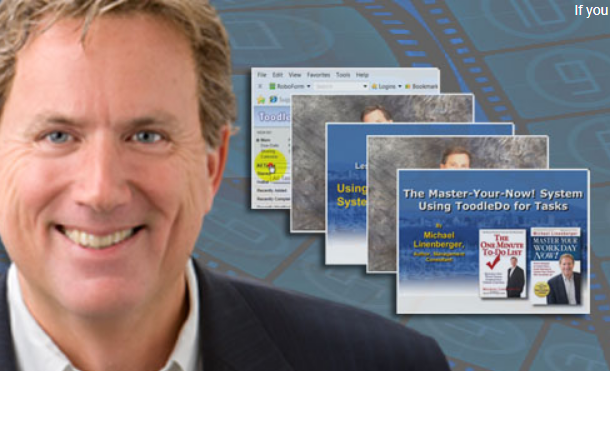 Top-Seller: "The MYN-Outlook Complete Video Training"
Do you use Outlook? Do you want to have Lineneberger's complete Outlook-based Master Your Now (MYN) system delivered to you in video format? Then look no further. This class goes well beyond the 1MTD book and course, teaching you a complete solution to workday control. 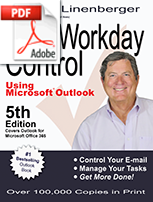 Includes 34 video segments and a PDF copy of Michael's #1 bestselling Outlook Book. Pricing varies from $299 to $149 depending on other video products owned. Michael's latest course that teaches you how to empty or near-empty your Inbox each day. Use as standalone course or as complement to Michael's MYN or 1MTD courses. 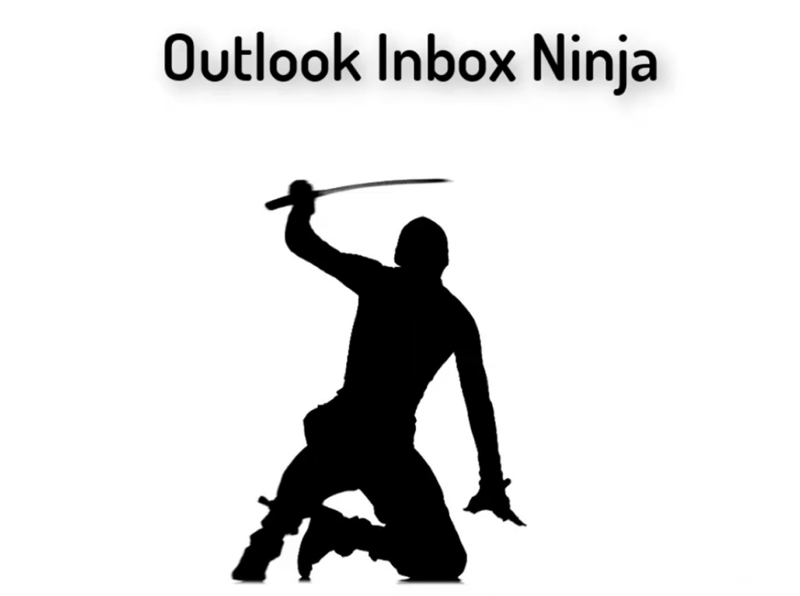 You are guided through the process of becoming an Outlook Inbox Ninja. You will become someone who can easily clear their Inbox each day. Includes 55 video segments. Learn setting up rules to filter much of your email before it gets to your Inbox. Learn how to sort and file mail blazingly fast. Also includes optional videos to learn Michael's 1MTD task system. The 1MTD Outlook Video Course Only $39! 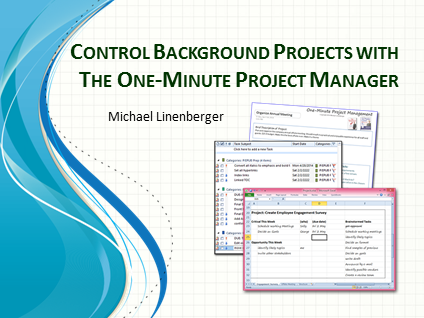 Learn Michael's simple task system and how to implement it in Windows Outlook. 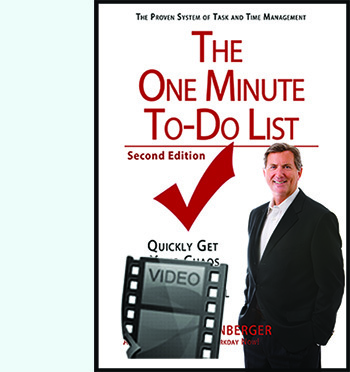 The One Minute To-Do List (1MTD) is quick to learn and very effective. Get your to-do's under control now! Includes 10 video segments. For Windows Desktop Outlook 2013, 2016, and 2019 (and Office 365). Only $39 ! Goes well beyond book of same name (shown at left). Can be used with the Ninja training (above) or separate. If you don't use Outlook for tasks, then Toodledo is the tasks solution for you, and this video training shows you how to use it with MYN. Do you want to have Lineneberger's complete Master Your Now (MYN) system using Toodledo delivered to you in video format? This class goes well beyond the One Minute To-Do List book, teaching you a complete solution to workday control using Toodledo as your task software. 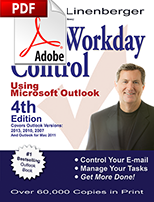 Includes 34 video segments and a PDF copy of Michael's #1 bestselling Outlook Book. Pricing varies from $249 to $149 depending on other video products owned. Products from Michael Linenberger and New Academy Publishers. Michael is the Number-one bestselling author for Microsoft Outlook for over 10 years. Michael is a Former VP at Accenture. Michael is the Former IT Director US Peace Corps.